Sitting on the sensitive border between India and Bangladesh is the Sundarbans, among the most wondrous and also most endangered ecosystems in the world. It is a precious mangrove forest of 10,000 sq. km, 60% of which is in Bangladesh and the rest in India. The region is a diplomatic thorn between the two countries: Its environmental troubles are caused by neglect and climate change, resulting in the creation of refugees from livelihood loss and problems of water-sharing. The Sundarbans’ issues can advance the relationship between the two neighbours—or send them into retreat. Luckily he has something solid to build on. There has been a sincere effort from policymakers on both sides to break the logjam creatively. One of the most innovative initiatives has been the use of environmental diplomacy, championed by India’s former environment minister Jairam Ramesh. 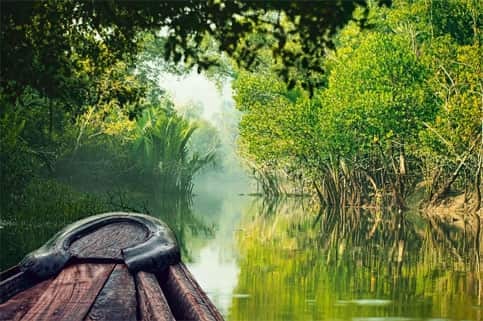 In January last year, Ramesh suggested that India and Bangladesh join hands to protect the Sundarbans from environmental degradation by the formation of an Indo-Bangladesh Sundarbans Ecosystem Forum. It will require the participation of non-governmental organizations, civil society groups and local communities from both countries, and joint coordination in afforestation, management of mangroves and conservation of the Bengal tiger. The forum will be functional later this year. The timing of the Ramesh initiative could not have been more propitious. The fractious India-Bangladesh relationship has been on the mend over the past two years. Bangladesh Prime Minister Sheikh Hasina has made several overtures of friendship, most notably by cracking down on Indian separatist groups that have long had safe havens in Bangladesh. In July, Bangladesh honoured former Indian prime minister Indira Gandhi for her contribution to the liberation war of 1971—a significant acknowledgement. What needs resolution are the issues created by the construction of the Farakka Barrage in 1975, and the attendant allocation of Ganga waters. The barrage diverted Ganga waters up-stream—adversely impacting the Sundarbans. Most parts of the wetlands have now surpassed their water-salinity thresholds, degrading the fragile ecosystem and resulting in loss of livelihood. Worse, Bangladesh, a low-lying deltaic region, faces the dire possibility of being partially submerged if sea levels continue to rise as a consequence of climate change. This could displace an estimated 10-30 million inhabitants of the southern Bangladesh coast alone, turning them into “climate refugees" —a migration headache for both countries. Already, thousands have moved into the slums of Kolkata and Dhaka. In short, the Sundarbans is at the epicentre of both our bilateral diplomatic challenges and of the most intense global battles against climate change. There is hope. The Sundarbans is a place where adapting to climate change actually seems possible, thanks largely to the one commodity that both India and Bangladesh have in abundance: human resilience. This must not be wasted. When Singh heads to Dhaka, he must formalize Ramesh’s forum through a specific Indo-Bangla bilateral environmental treaty for the Sundarbans. The treaty will facilitate implementation of the programmes under the forum, and mandate inclusive and coordinated reform between the two nations at state, district and grass-roots levels. This will help tackle the problems of a sensitive ecosystem as a whole rather than in the separate and piecemeal form currently the norm in both countries. Several existing and worthy proposals can be included in the treaty for joint and simultaneous execution by both India and Bangladesh. Funds exist: Last year New Delhi allocated ₹ 300 crore of the ₹ 1,156 crore Integrated Coastal Zone Management project to be spent in West Bengal, most of it on the Indian Sundarbans. The funds are for prevention of erosion of the islands, building of storm shelters, promotion of ecotourism and livelihood improvement. In addition is a ₹ 450 crore central grant for strengthening embankments at critical areas of the Indian Sundarbans. Bangladesh has similar allocations— ₹ 700 crore for its Sundarbans. The treaty should mandate effective cross-border management in both countries at national, state and local levels. Community-driven projects to reduce unsustainable livelihood practices that cause environmental degradation are an imperative. Another is establishing institutional linkages to facilitate sharing of knowledge, information and capacity-building programmes. Harun Rashid, the former Bangladesh ambassador to the United Nations, suggests setting up a joint committee of climate and biodiversity experts to harness local knowledge on innovative cropping methods in inter-tidal areas and real-time changes in climate. A joint relocation and emergency evacuation programme can be started for sudden climate disasters such as cyclones or flooding. Both nations can use their grass-roots institutions to ensure policies are practically implemented and effective. Micro-credit programmes such as microloans for livelihoods and microinsurance for environmental disaster cover are examples. It is also necessary to involve directly the governments of bordering states in this effort. With immediate collaboration and strict implementation of such recommendations, the further retreat of the Sundarbans can be halted. Instead of being on the diplomatic back burner, it can be a model for regional cooperation.